These are a few of my favorite things… (Don't call me a one trick pony!) — danielle colding design, inc. So, first of all, let's be clear. I'm not giving you all my secrets… then I'd have to kill you. But I am going to share some of my favorite design solutions… once in a while and only if you've been good. And by good I mean that you've actually read something that I've written. The bar is set really, really low. Claro! 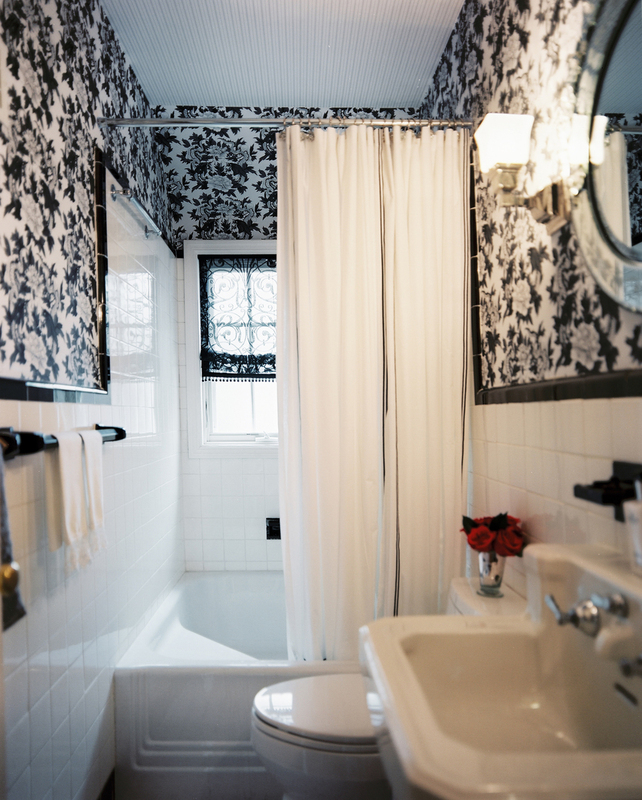 Without further ado… Here are some of my go to design solutions. I'm a white linens kind of girl. And admittedly not always the best bed maker. I'm pretty envious of those who can layer pattern and color and texture with abandon. Regardless, there is something about classic white sheets that does it for me. Give me some contrast color piping and I'm in heaven. 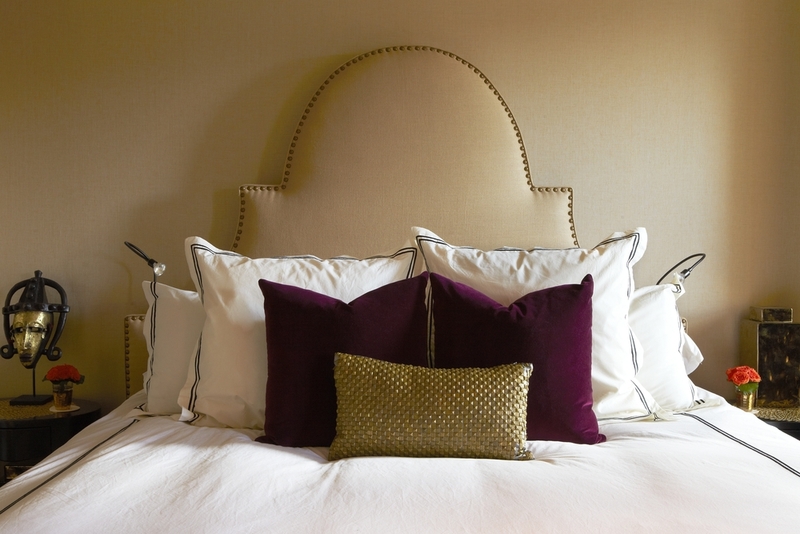 My go to: The Italian Hotel Satin Stitch Collection from Restoration Hardware. I love this for the most classic duvet and sham combo. And as you can see I use it… a lot. RH sheets in a Moroccan inspired room in Harlem. Classic wlue and white on the Upper East Side. And the perfect compliment to my Ralph Lauren Wallpaper in New Rochelle. I am a sucker for this incredibly rich raffia textile from the Democratic Republic of the Congo. It is geometric, a bit rough hewn and incredibly modern. My go to's: The pillow is from Wisteria and the bench is from West Elm. These affordable options are the perfect way to bring some culture and modernity into any space. A little pattern and texture in a Chelsea Law Firm. 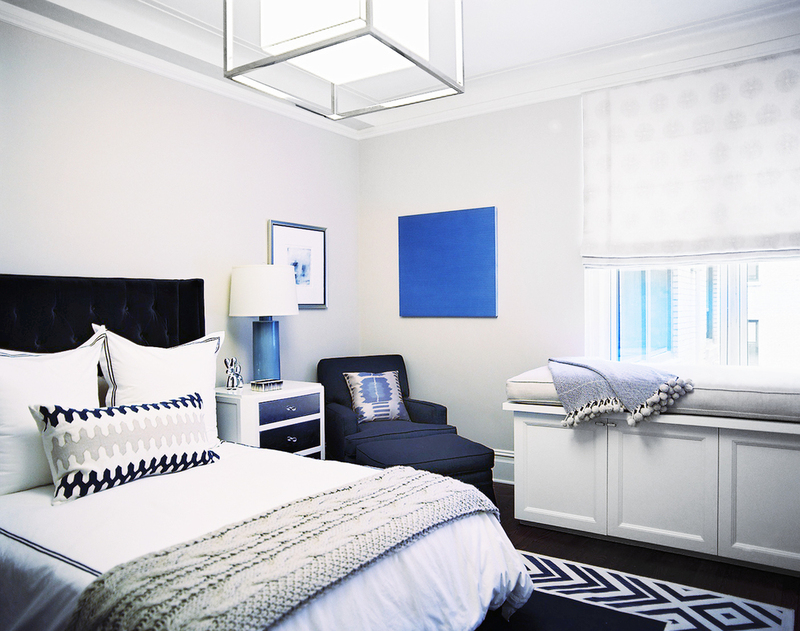 A Kuba Cloth bench completes a Guest Bedroom vignette. What can I say these beauties from Cameroon are everywhere… And there is a reason. They are incredibly beautiful artwork that come in a staggering array of colors. I was introduced to them through a client and have been hooked ever since. These feathery beauties add some unexpected texture and color into any space. Alone or in groupings, they are at once timeless and modern. My go to: Check out my girl at Authentic Africa in Harlem for your own version. My first published feature for Uptwon Magazine. My client had these up and I've been a lover of them ever since. Teal Juju hat against concrete wallpaper in Harlem. I am a die hard art lover. It is that thing that moves me and transforms any space from average to exceptional. 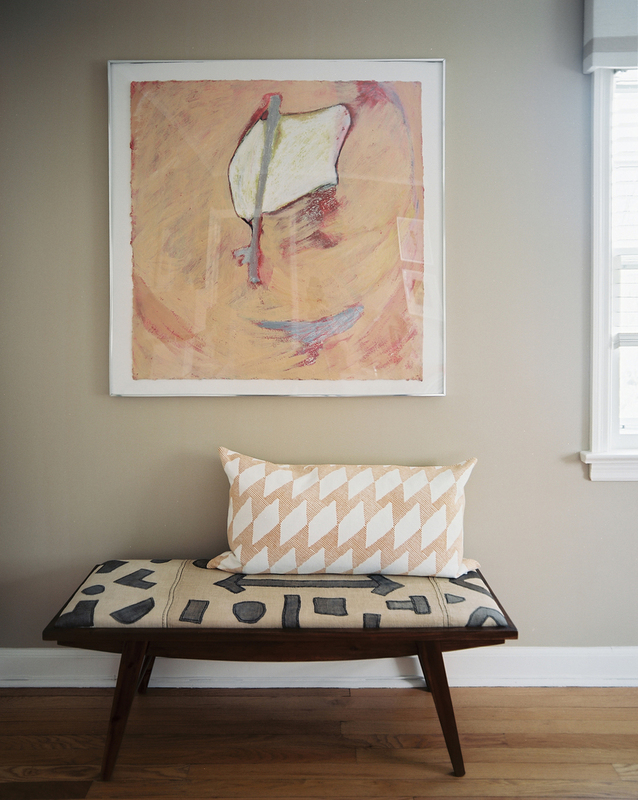 Whether its; an original painting or a framed photograph, artwork is the thing to invest in. My go to's: Artist and friend Jerome Lagarrigue. For something more reasonable, check out my friend Leo's site. Sound of Art. Another painting by Jerome in a downtown office.